For past three years we have seen the emergence of a whole different kind of technology startup: the app startup. It leverages the cloud, standard protocols, open source software and most importantly runs off a platform owned by someone like Facebook. Apple or Amazon. These startups, however, have a fundamental challenge – how do you grow from being one product project to a larger company? The traditional route has been to take venture capital funding and grow the business in a certain specific manner and we have seen that with a sharp increase in the amount of funds being poured into such companies. However, the problem is that the venture capital financing model was optimized for a much different kind of technology startup. However, if a man is a hammer, then to him, everything is a nail. Well not for Tero Ojanpera, a life long Nokia (s nok) executive who left the company a year ago, after Stephen Elop took over as the chief executive. 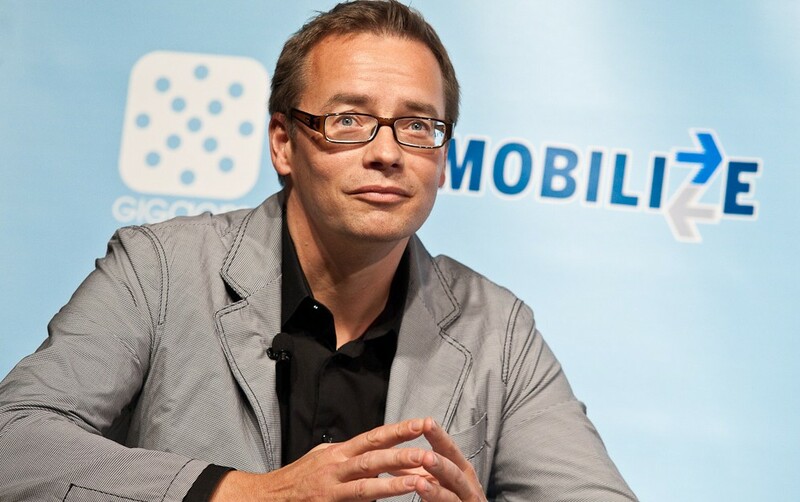 Ojanpera who was Nokia’s EVP of Services at the time of his departure, left Nokia to start a venture fund, with backing from Microsoft (s msft), Nokia and a handful of other financial investors. Ojanpera has now emerged with Vision+ and he describes it as a whole new kind of an investing model for the app-economy. “The venture capital landscape needed fresh thinking and a different approach from what we have,” Ojanpera says. And what he (and his three cohorts) have come up with is a model that sits between equity financing and bank loans. Instead of financing companies (via equity investments), Tero’s group wants to invest in “products.” Here is how it works. If you have developed a service, app or a game and need cash to market and grow the business, you can get the funds from Vision+ in exchange for royalties — essentially a piece of your future cash-flow. For instance, if your total costs are $500,000 and you need $50,000 for growth, then Vision+ will get royalties based on the amount. As part of the deal, you put your game or app in a holding company (that has been created by Vision+) but the developer retains the intellectual property of the game or the application. It is sort of like pledging your house for loan. Vision+ doesn’t get any equity in your company, but makes money on the idea that the service is going to be a hit. So far the fund’s focus is on Europe, but they are looking to go global and are talking to companies in US and India as well. And while Microsoft and Nokia are two of its biggest backers, the company is going to invest in all mobile platforms including iOS (s aapl) and Android (s goog). What do I think about Tero’s idea? I think it is actually a smart approach to financing a different kind of technology startup. It allows a company to figure out its game plan – whether it wants to be the next Zynga (s znga) or just happy being a Camera+. Now, all Vision+ needs to do is find some takers! It is an interesting model, but as all are saying, the devil is in the details. However, it is important to understand which devilish details are in fact not details but load-bearing components of the strategy. Just as Ovi was a brilliant concept, the details were never fully articulated by those tasked to deliver it nor were they clear to those asked to buy itâ€”and many of these details turned out to be mission-critical. -apps are reproducing existing products and have an early advantage on emerging platforms. many apps are really just games, e-publications, platform-specific versions of existing software, media streams, etc. as such, the app/platform pairing is just a distribution strategy. investing in a product in a single distribution channel seems risky. the cost to develop and maintain separate code across platforms is also not a one-time expense as platforms evolve and as new platforms appear. -apps require an OS/platform channel, which app builders don’t control. it possible for the means of distribution to be controlled or closed in ways that make the app building business risky. investing in apps doesn’t strike me as a long-term solution to value creation, but more of a short-term gamble. what would be interesting is envisioning the future market and distribution models for apps/digital content and services in a world where the Cloud makes OS/platform silos irrelevant and what consumers really want is the content and service. oh, wait…that’s Amazon. This sounds a bit like quasi equity or profit sharing. It will be interesting to see how it applies to apps, because if I am not mistaken, it used to be done for hardware tech products as well. What I’d like to know from the guys at Vision+ is how, if these app companies start introducing a suite of products and then require equity funding, will they work around to resolve any conflicts of interest (if any) ? I think it is a brilliant idea and with the financing in place, the team lead by Tero this truly is game-changing. @Don Dodge Don, agree that The devil is in the details. We have different models for different types of products (apps, games and services). The key point here is that we focus on specific product to enable creation of cash-flow. So all financing and other support such as marketing Vision+ provides are focused to drive traction in the marketplace. The structure of the deal is simple and the product company is 100% owned by the development company so there is no legal issues there. It’s just a way to make the deal very clear. More details from http://www.visionplus.fi and happy to discuss a specific case. Tero – I am extremely interested in what your fund has to offer, we are actually bang in the middle of fundraising and would rather work with someone like your fund rather than traditional VC’s. What is the best way to get in touch with you.. ? I agree with Tero (and you Don) that the details are critical, but you (Don) made one comment that I feel I must clarify. Perhaps I misunderstood your last paragraph, but it is a common sentiment in the market that RBF (revenue-based finance) ‘feels’ more expensive than an equity investment. Time value of money is often left out of financing conversations. It’s possible Don, that you were still referring to an uncapped, indefinite revenue-share, but even then it is not a given that that type of arrangement would be more expensive than a straight equity investment. Look at Instagram! A $50M RBF investment with even the most extreme terms (50% of top-line revenue, uncapped, indefinite) would have still been cheaper, in a time value of money (internal rate of return) sense, than the $50MM equity round that they closed the week prior to the FB acquisition announcement…. which, I don’t need to remind you, cost the company $50MM….in one week. The IRR on that investment, by my calculation is: 497,237,713,464,852,000%. That’s certainly an expensive cost of capital. This is obviously a corner-case, certainly (and more than a little bit bizarre — another topic! ), but it is a real-world example that a revenue-share does not by default supersede ownership, particularly in times of very high P/E valuations and data-, users- and talent-based acquisitions. More to the point, capped deals are almost always cheaper than equity, with the only exception being if the company fails, in which case equity is of course the cheapest form of financing. I think the market knows this, but for a variety of reasons executives are irrational in their financing decisions. First, the math: a 3x cap does not mean a 300% cost of capital. We, here at Lighter Capital target repayment in 2 to 7 years, and we alter our caps accordingly. We target an APR of 15-30%. So while the cap changes, so does the maturity date— but the cost of capital does not. Now for some psychology: Time horizon: entrepreneurs confronted with a 3x repayment obligation (which includes principal, so really only 2x ‘cost’), “feel” this obligation immediately… it is forefront in the mind, while an equity “repayment obligation” is vague and undefined in magnitude and time horizon. Also, the RBF repayment obligation starts immediately and is on-going, requiring continued commitment. An equity “repayment obligation” comes after all the hard work, after everyone is already rich, spraying eachother with champagne, so it “feels” less costly and less onerous, despite being completely the opposite in both respects. Lastly, there is the “VC on a pedestal” phenomena, where raising money from a VC, particularly one who blogs a lot, is some sort of milestone for an entrpreneur. In these cases, entrepreneurs who raise a VC round feel as though just raising the round is “making it”. These entrepreneurs are willing to suspend their disbelief at the cost of capital for the perceived sense of being let in behind the velvet rope and “in da club”. We have worked with some amazing entrepreneurs that are growing their businesses to amazing scale, perhaps without ever having to dilute themselves with an equity invesment. Nowadays it is so much cheaper to start a technology company… you no longer have to purchase extensive (and expensive) hardware… you can just spin up some instances on AWS. And similarly, these companies require a different form of financing from the traditional VC path. Congrats to Tero at the team at Vision+, and welcome to the RBF ecosystem. Om, The devil is in the details. Maybe I am not clear on how this works. In your example above Vision+ invests $50K in a company that has total development costs of $500K. So does that mean they get 10% royalties on all sales? For life, or until Vision+ has been paid back 2X or 3X their investment? If it is a royalty for life then Vision+ has essentially bought something more valuable than a 10% equity position. They have acquired 10% of sales (not profits) of the company forever. Equity investments don’t return anything to investors until after the company is sold or IPO. Many startups have millions in revenues, but no profits, and no dividends. The equity investor gets nothing, while the royalty investor collects returns on the first dollar of revenue…and every dollar thereafter. Also, transferring the app to a Vision+ holding company sounds dangerous to the startup. Lots of legal things could go wrong. Royalty financing has been around for a long time. Most of them have a royalty cap or buyout price. Most investors won’t do the deal unless the company is already producing revenue, or there is a clear path to revenue. Most entrepreneurs won’t do the deal because the “cost” of the money is higher in the long run than selling straight equity.